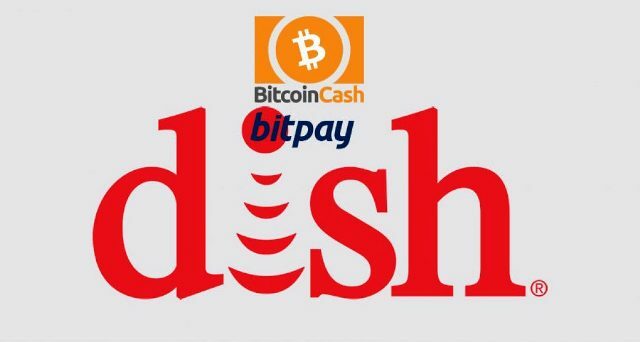 DISH Network satellite television provider now accepts Bitcoin cash as a pay-TV payment option. Dish Network, a US television provider, has added Bitcoin Cash (BCH) as a payment option and is now using BitPay, a blockchain payment provider, as a payment processor. Dish Network is the owner of the Dish Network Satellite TV provider and the Sling TV Internet broadcast service. In addition to its television services, the company began building a national narrow-band Internet of Things (IoT) network to provide innovative connectivity solutions and applications through its strategic spectrum portfolio. In 2014, the company became one of the first major firms to accept Bitcoin. Dish customers can now use Bitcoin and Bitcoin Cash to pay monthly subscriptions and pay-per-view movies. As an insertion transaction, a Dish customer sends the exact amount of Bitcoin or Bitcoin Cash needed to make one-time payments on your website or at the set-top box. "We have added Bitcoin Cash just when we chose to accept Bitcoin to serve customers who have adopted a new way of doing business," said John Swieringa, executive vice president and COO of DISH. "We have a constant volume of customers who pay with cryptocurrencies every month, and BitPay will allow us to continue offering more options and convenience to our customers." Dish Network Satellite also announced that it is migrating from its old payment processor to BitPay. According to the statement, BitPay exchanges payments in cryptocurrency to US dollars at the time of the transaction. This reduces the risk of price fluctuation between the payment made and the currency exchange. "Our goal for DISH Network satellite is a smooth transition to BitPay, so all customers who currently pay for bitcoin services continue to have the option to pay with Bitcoin or Bitcoin Cash," said Sonny Singh, commercial director of BitPay. "Cryptocurrency is an increasingly popular way for consumers to shop online, since it reduces fraud with credit cards and is cheaper for merchants."